Phantom of the Paradise belongs to the golden age of Brian de Palma that went from the 70's to the mid 80's (or later, depending on your perspective), unleashing a crazier film each time, with his baroque, unbridled visual style and his unashamedly blatant Hitchcock references. 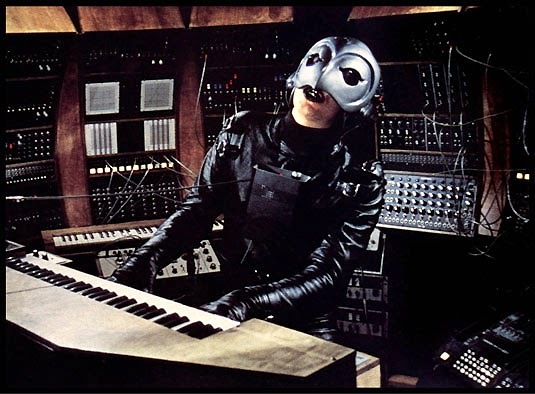 Phantom of the Paradise is The Phantom of the Opera meets Faust, a baroque and psychedelic rock opera in which a naive composer, Winslow (William Finley) falls prey of ruthless music producer Swan (Paul Williams) who steals his work before leaving him for dead. Having survived the accident but badly disfigured, he strikes an uneasy alliance with his foe to allow for his music to be heard and for the object of his affection, Phoenix (Jessica Harper), to be able to sing it. Looking back at the film all these years later, it is easy to see how Brian de Palma was crowned as one of the most promising and visionary directors of the era. There is an infectious exuberance to the film, right from the opening musical number, that does not let go right until the demented final. Phantom of the Paradise could well have represented a pyrrhic victory of style over substance, beating its audience into submission with all of its chromatic fireworks and brouhaha, yet there is a touching romance as its core. Better known for her part in Suspiria (another over the top 70's classic), Jessica Harper as Phoenix is the heart and soul of the film, as a pop ingenue with conflicting morals who is tempted by the dark side fame, a part in which her innocent beauty feels like an antidote to the jaded cynicism and evil surrounding her. The music might not be to everybody's taste, but it has an exhilarating quality to it, with a three men band reappearing in various incarnations (a comment on the way singers get recycled that is still relevant today! 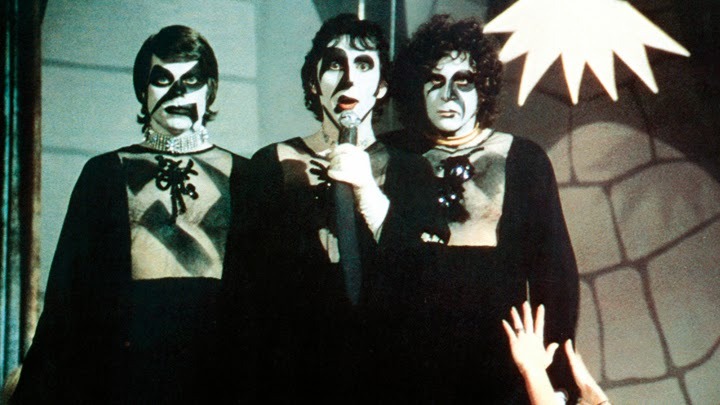 ), from their more innocent beginning as some mellow Beach Boys look-alikes, to their more striking gothic glam band The Undeads that has echoes of The Rocky Horror Picture Show. And there are several glorious and memorable set pieces, including the aforementioned final that leaves you exhausted through its sheer madness. 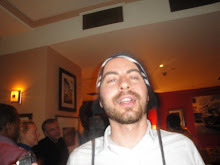 And there is style in abundance, from the iconic phantom's mask to the numerous rock numbers throughout the film which has inspired a brilliant tribute from Bob Sinclar in the early 00's, which I enclose below the train at the end of this post. And Brian de Palma's beloved split screen makes a welcome appearance! Paul Williams (a real life legendary music composer who recently worked on Daft Punk) offers a fantastically over the top performance as the diminutive and smarmy composer who has made a pact with the devil (and considering he's barely aged since the film was made, I wonder how far to reality his character is). And Gerritt Graham has a short but hilarious part as the camp as Christmas diva Beef (a male transposition of the character of Carlotta in the original story), who has an energetic musical number as well as a scene featuring an amusing twist of the infamous Psycho shower scene. Of course the film is anchored in the 70's and wonderfully so, and yet it feels strangely timeless, as if it was already so over the top for the era it was made that it has transcended it. Flamboyant and frankly insane, Phantom of the Paradise is an absolute delight and a must-see for a cult fans.